Carlos Alzate, Sr. Vice President has been the Business Banking Market Manager for Miami Dade County since December 2012. In this role, Carlos is responsible for 4 Business Relationship Manager Teams with over 50 bankers under his leadership. Carlos started his career in Banking right after graduating from college at a community bank called ArgentBank in Thibodaux, LA. His first job was as an Indirect Lending Officer in the Auto Finance department. ArgentBank was subsequently acquired By Hibernia National Bank of Louisiana (now Capital One Bank). Carlos then transferred to New Orleans and joined the Commercial Leasing Department at Hibernia. In 1999, Carlos made the move to Bank One (now Chase Bank) in New Orleans as a Leasing Officer supporting the Business Relationship Channel efforts in Louisiana. He was subsequently promoted to Leasing Regional Manager supporting LA, TX, AZ, UT, CO, and OK. In 2009, Carlos assumed the position of Area Manager for the Business Relationship Channel in SE Florida where he went on to develop the Miami, Broward and Palm Beach markets. Due to the rapid expansion, the SE Florida Business Relationship Market was split into four teams. Carlos sits on the Market Leadership Team for SE Florida and chairs the Volunteer Leadership Group for Miami Dade for JPMorgan Chase. He has been a six time recipient of the President’s Club Award at JPMorgan Chase. 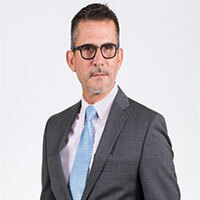 Carlos also sits as a Board Member for SAVE Dade Foundation and is an active participant and frequent volunteer with Camillus House, Chapman Partnership & March of Dimes.